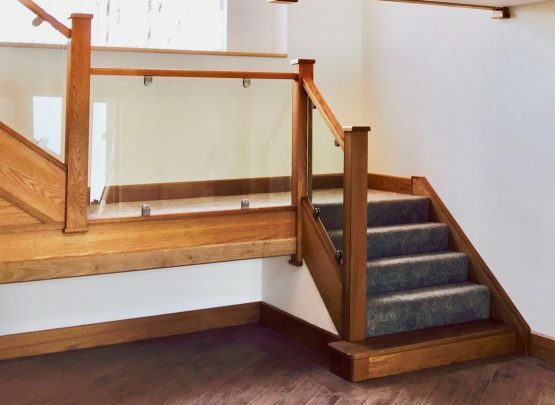 The objective of this staircase is to allow the most amount of light possible into the above and below rooms as they have an expansive window at the front and other staircases would block light getting into the room. 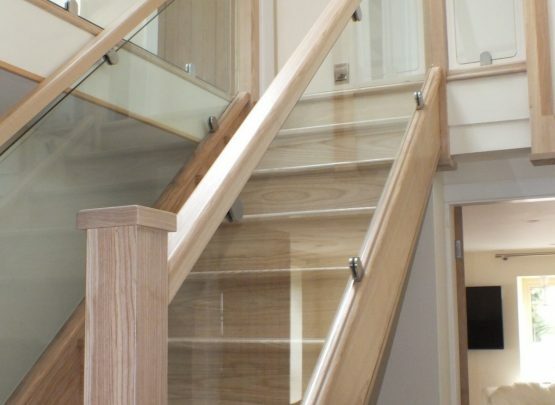 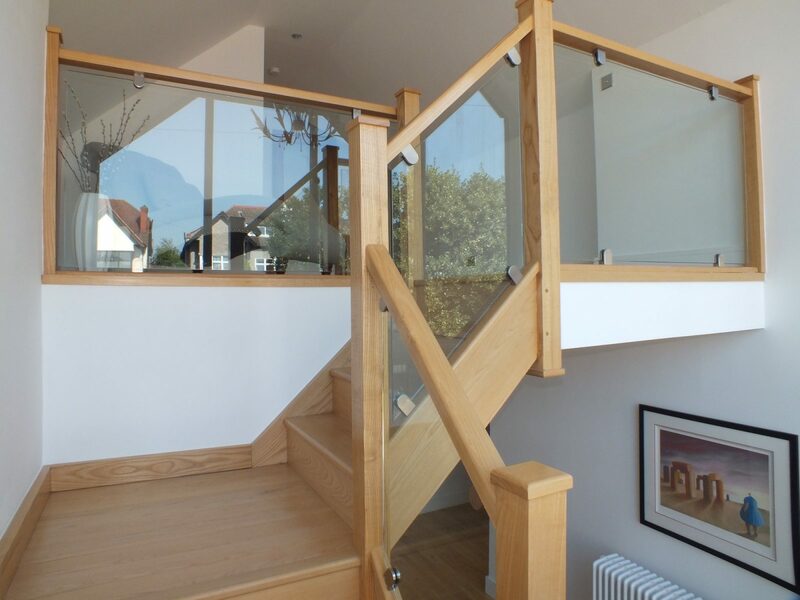 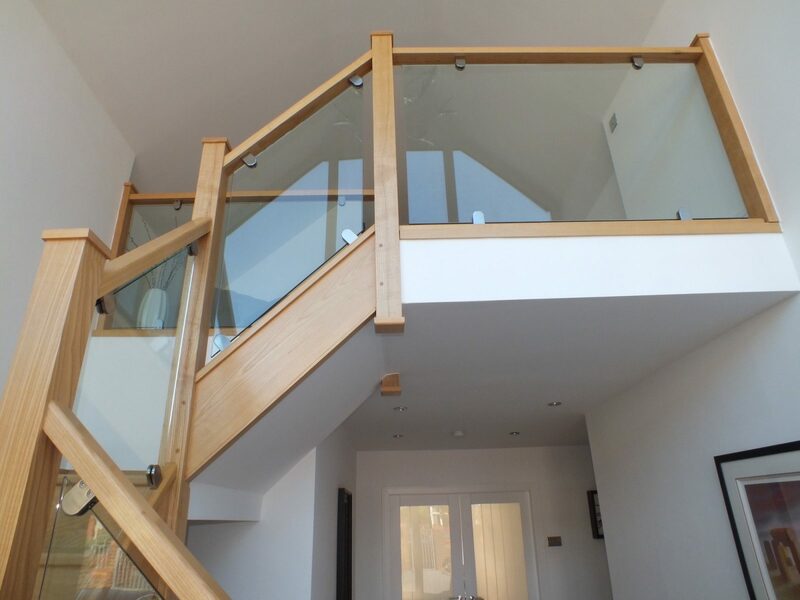 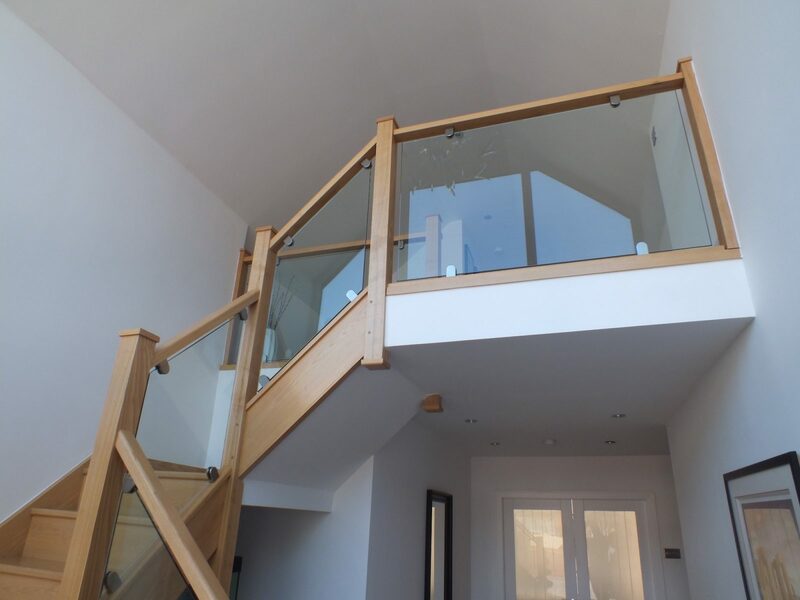 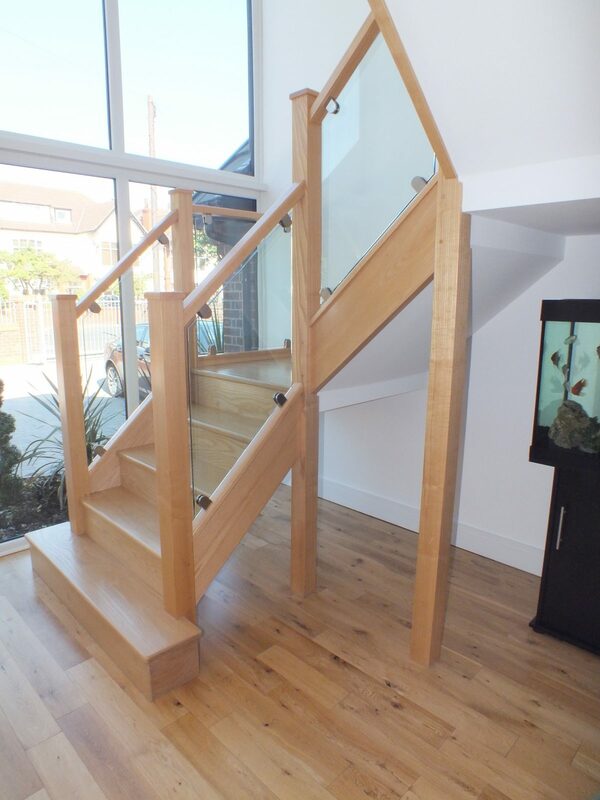 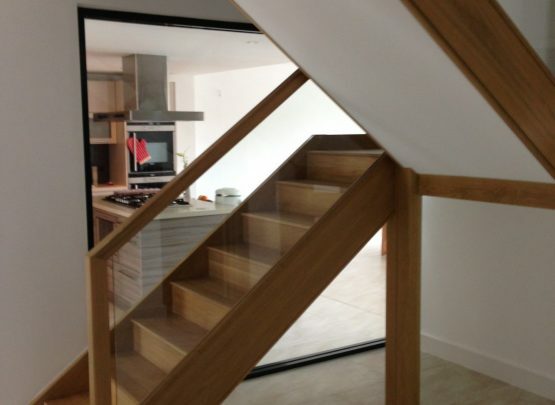 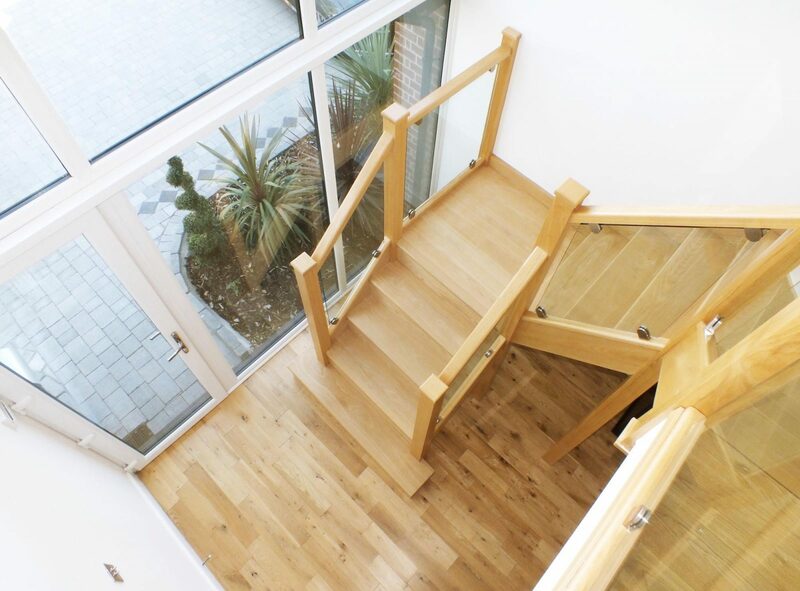 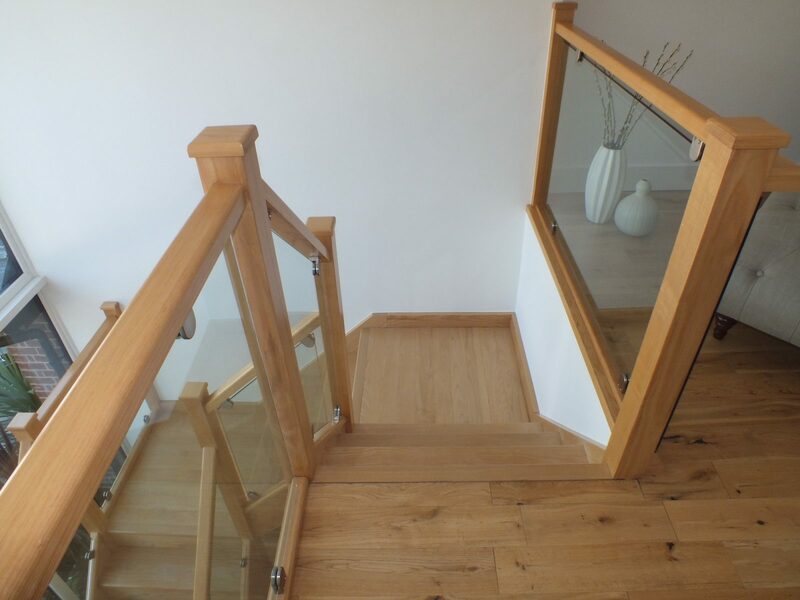 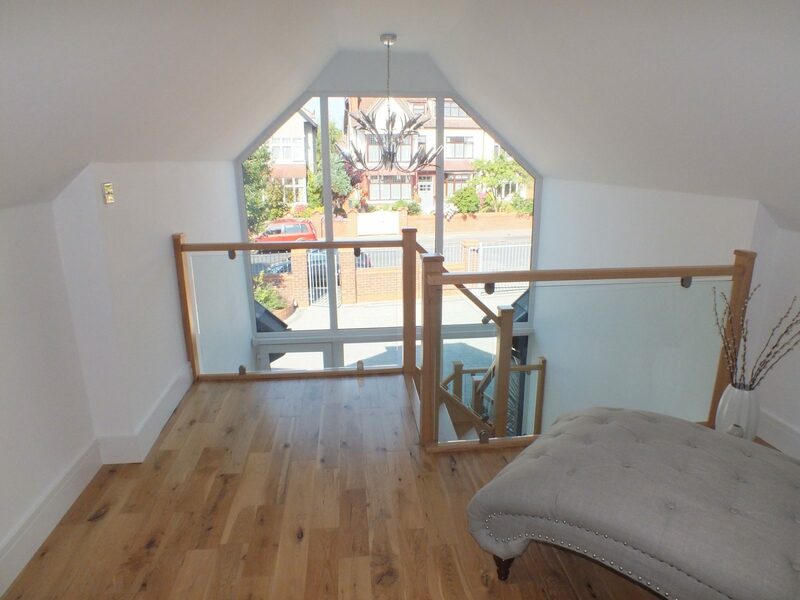 Most staircases are boxed in to create under-stair storage, this one is left to look as though it is free standing to keep it feeling open, in keeping with the glass style. 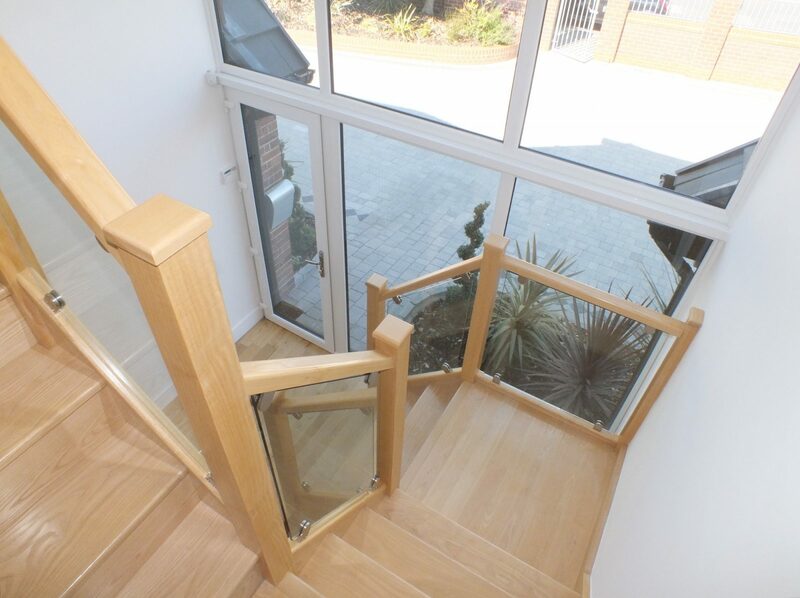 the bottom of the stairs are finished with a modern curtail step, which is angled as opposed to the spherical finish on other curtail steps. 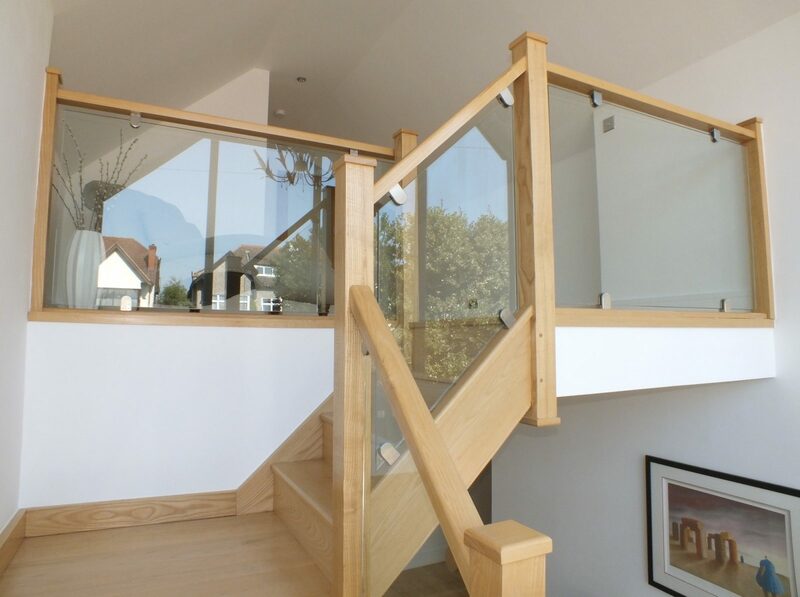 Chrome clamps have been used to support the glass, this increases the overall modern aesthetic of the hallway.